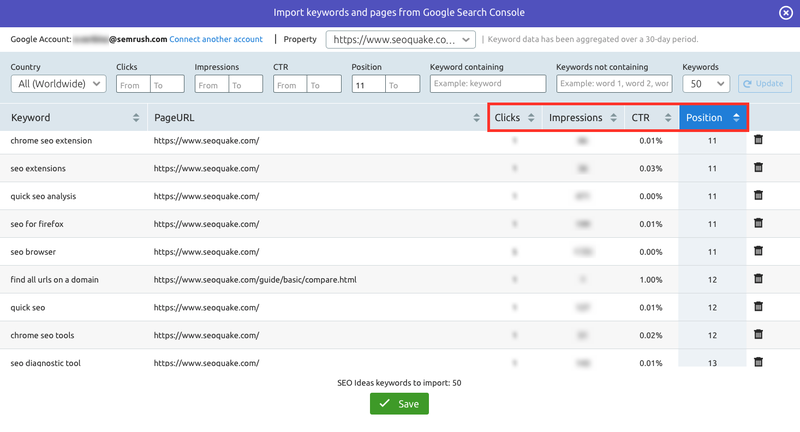 You probably already know that the SEO Ideas tool allows you to import keyword and page pairs from the Search Analytics report in your Google Search Console (GSC) account. We really hope that you enjoy this feature and find it handy. So, what’s new? In a few words, we decided to extend the GSC Search Analytics import to the maximum in response to numerous user requests! Taking into account that the GSC report has four metrics, we thought it was the right time to embed an import based on all of them: Clicks, Impressions, CTR and Position. As you may remember, the previous step included the ability to import landing page and keyword pairs for just one criterion — the number of clicks leading to your website. 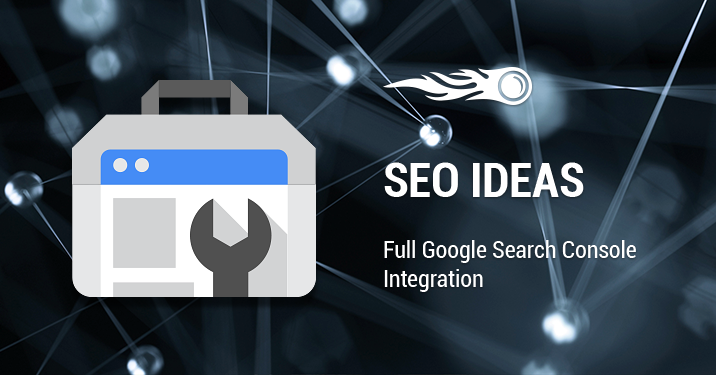 You can find the Import button at the right top of the SEO Ideas tool. Don’t forget to create a new project if you have none. Then choose Google Search Console and sort the keywords and URLs you wish to import in the pop-up wizard. For example, you can identify underperforming landing pages, import keywords and pages pairs, and the SEO Ideas tool will give you actionable tips on how to optimize them to increase their CTR and traffic. We’ve also refined the keyword search by adding filters — by country and name. You can track keywords and their corresponding URLs that contain a particular word and remove from your sight those that you’re not interested in. And that’s not the half of it! 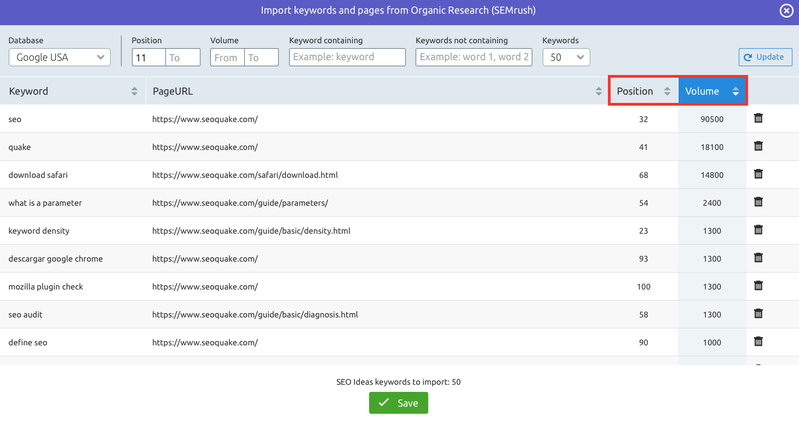 Now you can also import keywords and pages from SEMrush Organic Search one by one by clicking on the same import button. Here you can sort the keywords and corresponding URLs by their position and volume, and use the same neat filters — by country and name. Once the import is complete, leave the rest to SEO Ideas! [email protected]! Stay tuned, as we’re working hard to provide you with more handy features! Site Audit: Keep Your Website Safe with the Brand New HTTPS Report!